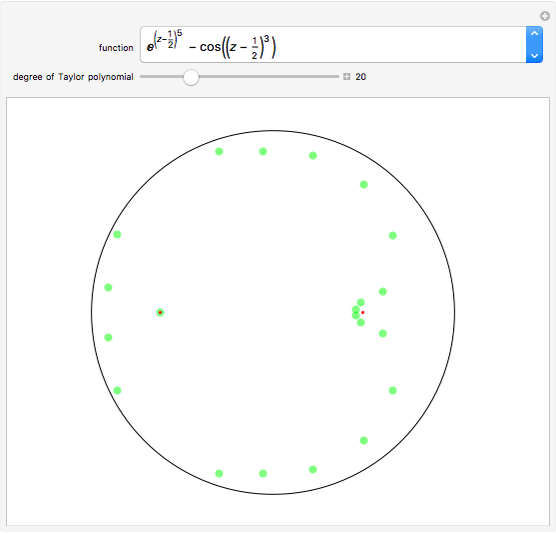 This Demonstration investigates how the roots of the polynomials in the Taylor expansion of a function analytic in the unit disk converge to the roots of the function in the disk. 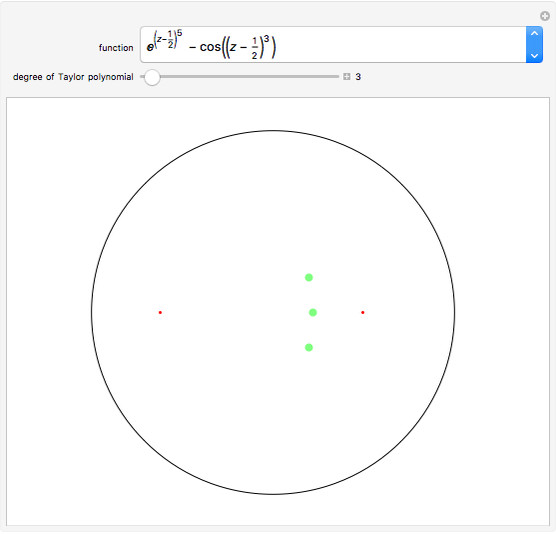 The roots of the selected analytic function are represented by small red points. 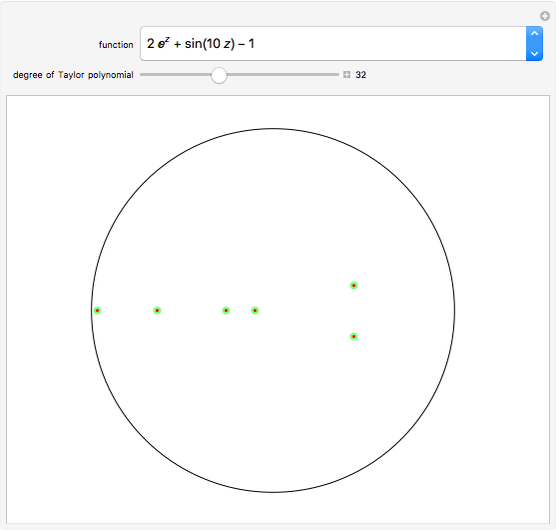 The roots of the Taylor polynomial of a chosen degree are represented by larger green points. 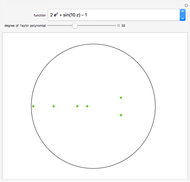 As you increase the degree of the Taylor polynomial, the number of green points may increase or decrease but eventually there will be as many red points as green points in the disk and they will almost coincide. E. C. Titchmarch, The Theory of Functions, London: Oxford University Press, 1952. Andrzej Kozlowski "Roots of Holomorphic Functions in the Unit Disk"